Take a modern twist on the iconic PANDORA charm bracelet with the new Moments Sliding Bracelet. The PANDORA Spring 2018 Collection contained some refreshing new bracelet designs, including the stylish PANDORA Moments Sliding Bracelet. The PANDORA Moments Sliding Bracelet is available in three colour ways: Silver, PANDORA Rose and PANDORA Shine. In this review we will take a close look at the features and styling options of the Silver version of the Moments Sliding Bracelet (597125CZ). When I first saw the PANDORA Moments Sliding Bracelet, I was a little confused at how it opened and I initially thought maybe it would only be possible to wear Clips on the chain. If you were as flummoxed as me the following shorts will illustrate that wearing the PANDORA Sliding Bracelet is as easy as 1, 2, 3! Video music credit to www.bensound.com. 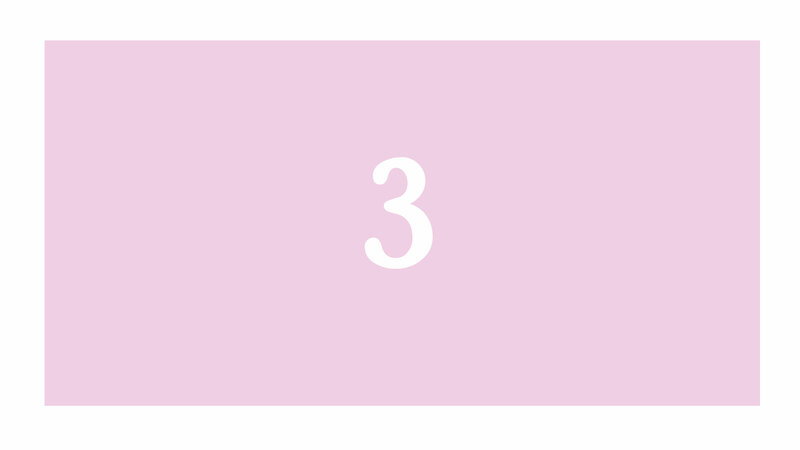 Step 3: Adjust & Go! The PANDORA Moments Sliding Bracelet incorporates a smooth snake chain with interchangeable end caps and an innovative sliding clasp. 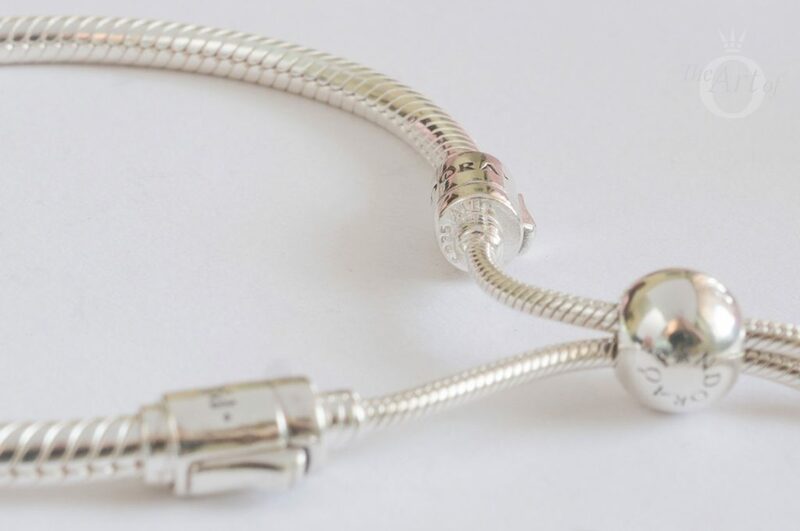 The bracelet chain is the same width of the classic PANDORA Moments Bracelet but does not possess any threaded sections. The silicone PANDORA Clips fit onto the Sliding Bracelet chain and the stand PANDORA Clips can be used with a rubber insert to keep in place. 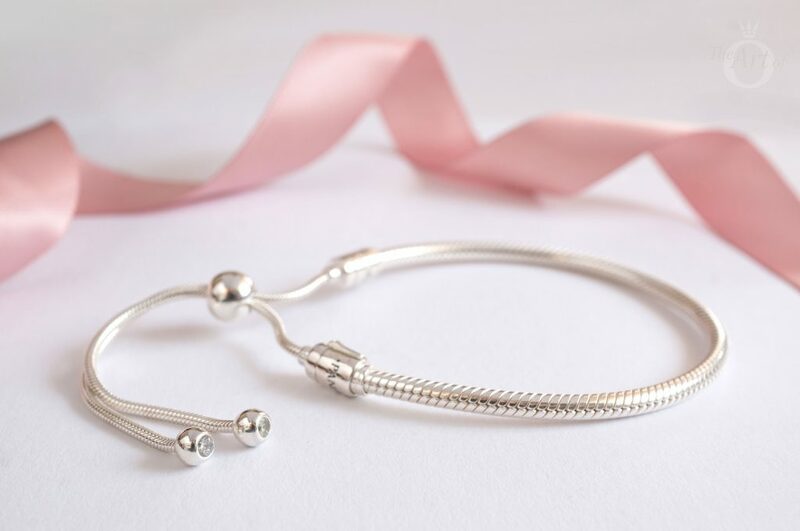 Unfortunately the PANDORA Open Bangle Silver Stoppers are not compatible with the Sliding Bracelet as they are just a fraction too small to fit over the end of the chain. Clear cubic zirconia stones enhance the end caps of the Sliding Bracelet with discreet glamour that is perfect for a daytime look or can be easily dressed up for a formal occasion. 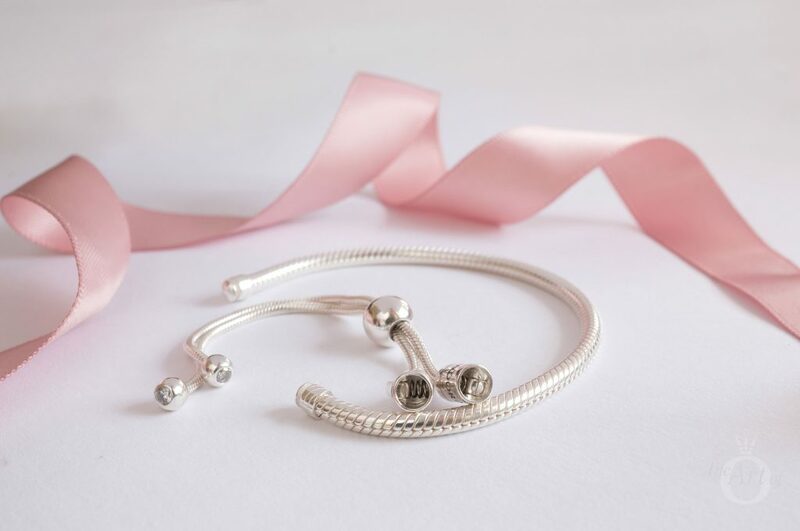 The PANDORA Sliding Bracelet is only available in one size option, 28cm. However the innovative sliding clasp allows you to adjust the bracelet to fit. 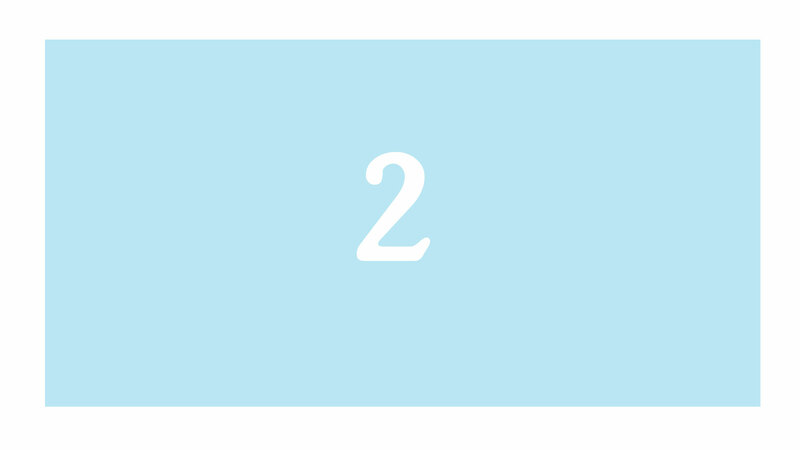 The spherical clasp contains a silicone interior which can be moved up and down the end chains. 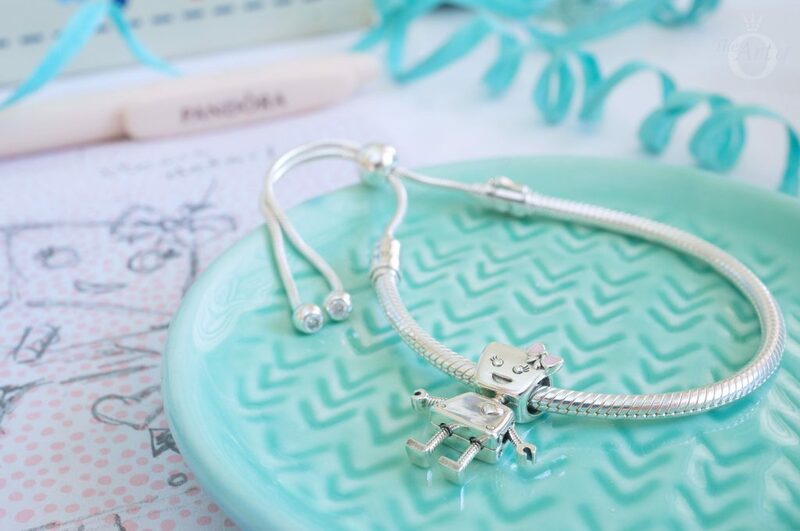 When in place, the silicone centre prevents the clasp from moving, much the same as the PANDORA Essence charms. The clasp is plain on one side and is decorated with the PANDORA logo on the other side. 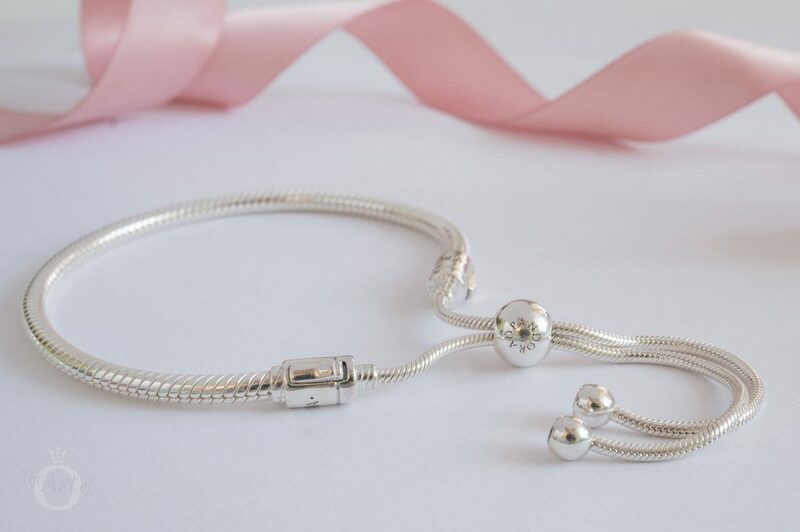 Due to its adjustable length, the PANDORA Sliding Bracelet can also double as an ankle bracelet. Although I think this is a fantastic idea, it isn’t one I will be taking part in as I have the misfortune to be endowed with a marvellous specimen of cankles! It took me a little while to locate the hallmark on the PANDORA Sliding Bracelet. I eventually discovered it on the flat end of the barrel clasp. Unlike the ornamental PANDORA logo which encircles the barrel clasp, the “S925 ALE’ hallmark has not been oxidised making it very subtle. Both of the Sliding Bracelet’s barrel clasps can be opened and removed. Simply push down on the opener of the barrel clasp and the tiny spring inside the barrel clasp will release the Sliding Bracelet chain. As you push down on the barrel clasp you will hear a little ‘click’ sound of the bracelet chain releasing. When you fasten the bracelet into the clasp you will hear the same click and know it has locked properly. Once I have refasten the Sliding Bracelet, I give the chain a gentle tug to ensure it is definitely clicked in place. 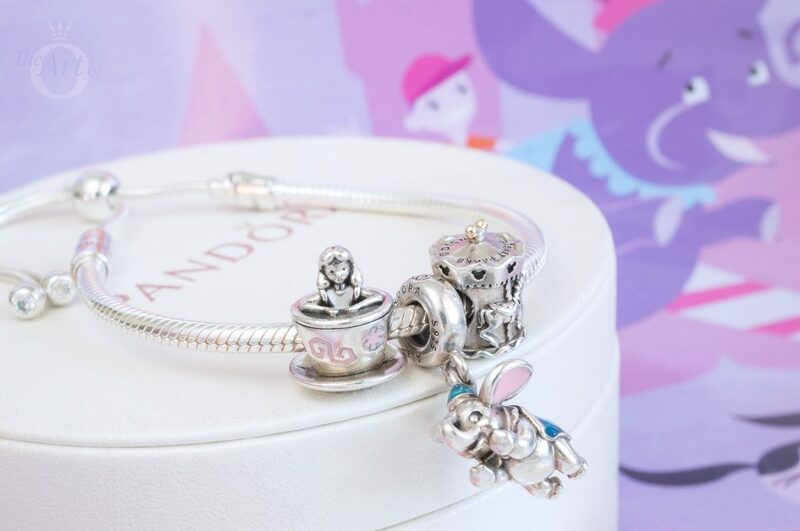 The entire end cap section of the PANDORA Sliding Bracelet can be removed which means you can easily revamp your style and pair the chain with the PANDORA Rose or Shine Sliding Bracelet end caps. 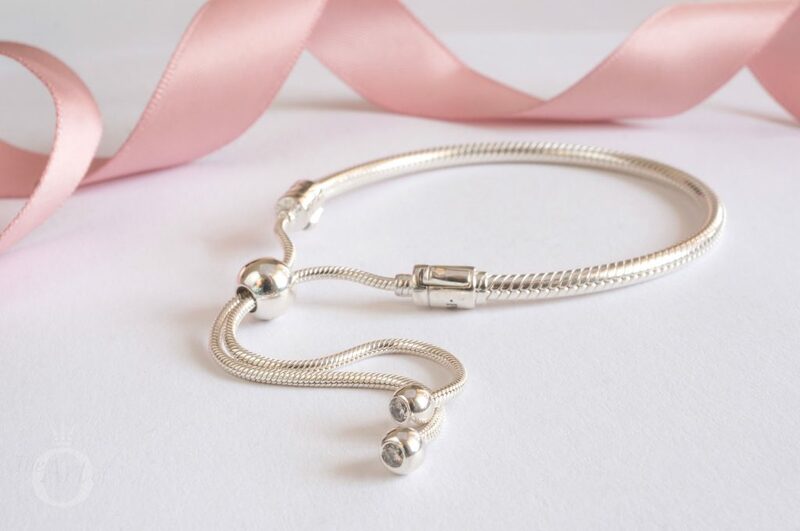 The PANDORA Sliding Bracelet is a wonderfully way to draw attention to a new favourite charm, such as the new Bella Bot (797141EN160) charm. This look is fun and relaxed with Bella’s legs dangling along with the end cap strands. The Sliding Bracelet is also perfect for displaying mini themes such as the Limited Edition PANDORA Disney Parks Fantasyland Set. 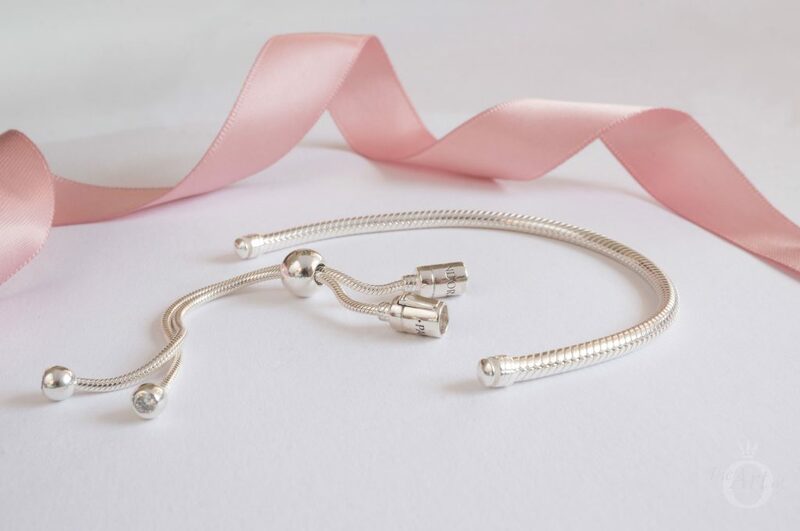 Standard PANDORA clips can be worn with the Sliding Bracelet and if you use a silicone insert inside the clip your design will stay in place. 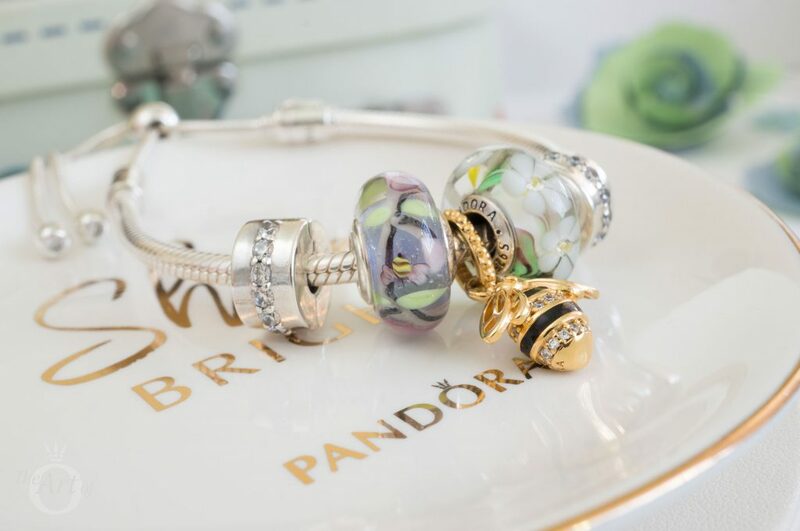 Here the stunning PANDORA Shine Queen Bee Pendant (367075EN16) charm provides an sophisticated Spring style, between the Enchanted Garden (797014) and Wildflower Murano (791638cz) charms. Pendant charms such as the new Enchanted Heart Tassel Pendant Charm (797037) are a wonderful way to echo the hanging tassels of the PANDORA Sliding Bracelet. The sweet PANDORA Rose Two Hearts Spacer (786559CZR) charms provide a beautiful blush to this pure and simple design. My verdict on the PANDORA Silver Moments Sliding Bracelet? It has slipped and slided straight into my heart! 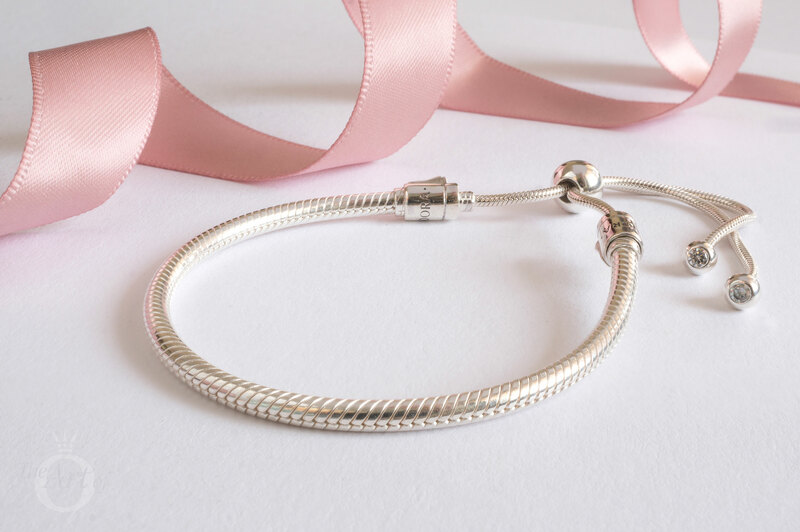 Although the PANDORA Sliding Bracelet is beautiful it is quite simple and doesn’t possess a huge wow factor compared to other PANDORA Bracelets such as the Limited Edition PANDORA Shine Honeybee Bracelet. 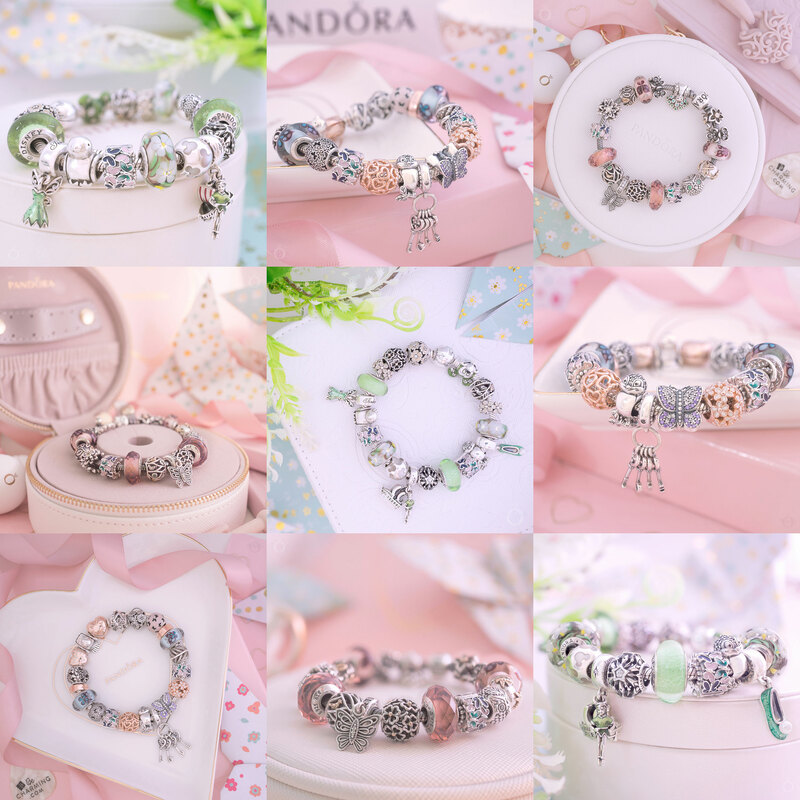 The price is comparably to other PANDORA Moments bracelets which is good value as the design has more silver and cubic zirconia stones. Its innovative design is worth 10/10 but as I find it is more suited to a small selection of charms and so I have marked it down a little for versatility. In the UK the PANDORA Moments Silver Sliding Bracelet (597125CZ) is £55 and is available from the PANDORA UK eStore. Omg I was just thinking of if u had a review on them!! !🙈☺️Would love if you can review the pandora rose version or the new pandora rose signature open bangle! Unfortunately I don’t have either the PANDORA Rose Sliding Bracelet or the Signature Open Bangle otherwise I would happily oblige! The next review will be the Enchanted Heart Tassel Charm and then the Dreamy Dragonfly, Promise of Spring and Enchanted Tea Pot. 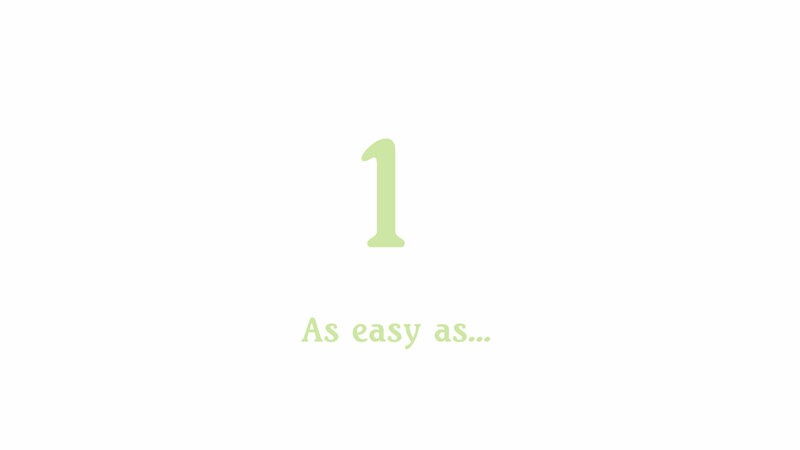 Thank you for commenting and enjoy the rest of your day! Thank so you so much for posting videos on how to unfasten and fasten this bracelet! I had ordered it online about a month ago and could not figure out how to open it. I searched online and could only find someone’s description—no videos—but couldn’t for the life of me figure it out. I thought I was going to have to take it to the store, but I was eventually able to unfasten it. I love my silver version and hope to order it in the colors in the future! I’m so pleased you found the review helpful! I don’t normally create videos but I thought it would really help explain the PANDORA Sliding bracelet. Like you, I couldn’t figure it out from just the stock images! I would also love to get the other versions, especially the PANDORA Shine version. It looks sooo shiny!. Plus there are leather versions due out with the Summer Collection which look pretty. It seems so many of us were confused about how this bracelet worked! Interestingly, although the end of the chain isn’t threaded it isn’t just a smooth end and is raised a little. The charms will just come off like with a smooth bracelet but a clip has to be unclipped to be removed from the bracelet. I guess this could be used as a safety feature if people are worried about the bracelet opening and their charms falling off. Sorry to hear that the Sliding Bracelet wasn’t for you! I did think that the dangling strands could be a problem for some and that I would remove it when using a computer. I haven’t had any issues of it leaving a mark on my wrist. Maybe the leather version that is due out in the Summer collection would be better for you. Although of course the dangly bits will still dangle! Oh dear! I’m so sorry you had issues with your Sliding Bracelet. Do you think it might have been a problem batch? Did it make a little click noise when you pressed the little push button? My Sliding Bracelet locks securely and feels strong so maybe there were some bad productions.